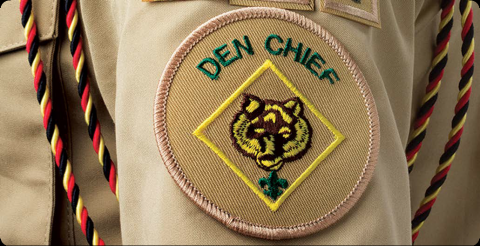 The new online Den Chief training is now available for Scouts who are registered in Troops, Crews and Ships. The new online course identifies den chief responsibilities and tasks along with describing the den chief’s relationship with supporting Den Leaders and how it relates to the den chief’s activities with the den. At the end of the online training module, Den Chiefs can print their certificate of completion signifying they are trained for their position and fulfilling a requirement towards their Den Chief Service Award. Leadership training is perhaps the most important opportunity available to our Scouts and Venturers. 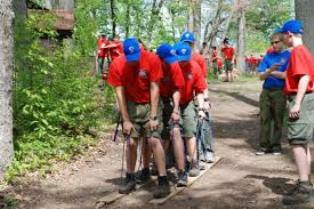 National Youth Leadership Training is a key part of the leadership development of the BSA’s youth members. NYLT is an intense, six-day experience centered on the concepts of what a leader should BE, what a leader should KNOW, and what a leader should DO. Develop a youth’s confidence and knowledge in leading the unit’s program. Gain a working understanding of the resources, skills and methods needed to undertake further unit leadership responsibility. Share ideas and learn from the experiences of other youths from units across the council. Support adult unit leaders in training youth leaders in the unit. Reinforce a youth’s relationship with his unit leader and other adult leaders. Experience Scouting/Venturing at its very best. Who is Eligible to Attend NYLT? 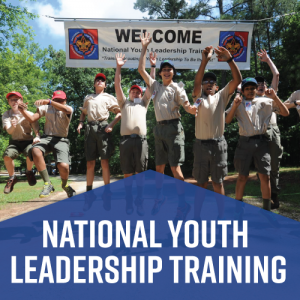 NYLT is designed for those Scouts/Venturers that are likely to serve in senior leadership roles in their unit in the near future. Scouts selected should be made aware that this is NOT a summer camp program and does involve classroom style and hands on training sessions. 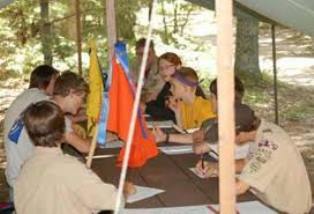 Scouts BSA must be 13 years of age and fall within the maximum age allowance for their program registration. They must be a First Class Scout and have completed Introduction to Leadership Skills for Troops. Venturers and Sea Scouts (male and female) must be at least 13 years old, and fall within the maximum age allowance for their program. They must have completed Introduction to Leadership Skills for Crews or Ships. It is recommended that they have had at least one year of camping experience. Full week and two weekend courses are available.